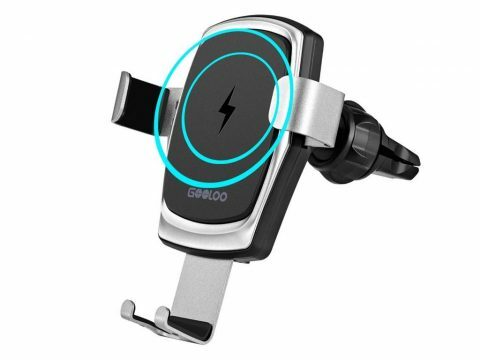 </p>The GOOLOO Wireless Car Charger Mount for Air Vents is a combination of wireless charging and car phone mount. It not only can supply power when your cell phone when on the road, but also allows you easily and safely to view your phone like using GPS navigation while you’re driving. The GOOLOO wireless car mount outputs 7.5W of power for iPhone (Xs Max / Xs / XR / X/ 8 / 8 Plus) and 10W for Samsung Galaxy (S9 S9 Plus S8, S8 Plus, S7, S7 edge, S6 edge+).